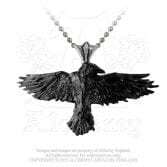 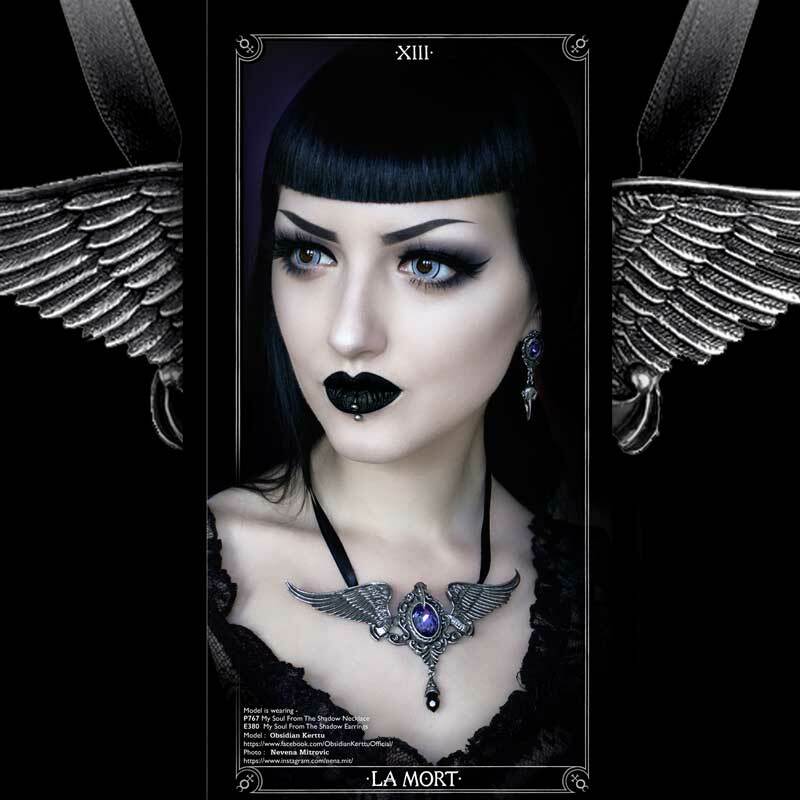 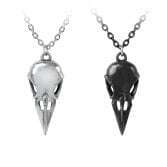 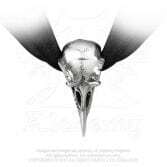 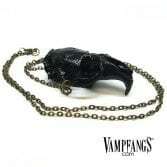 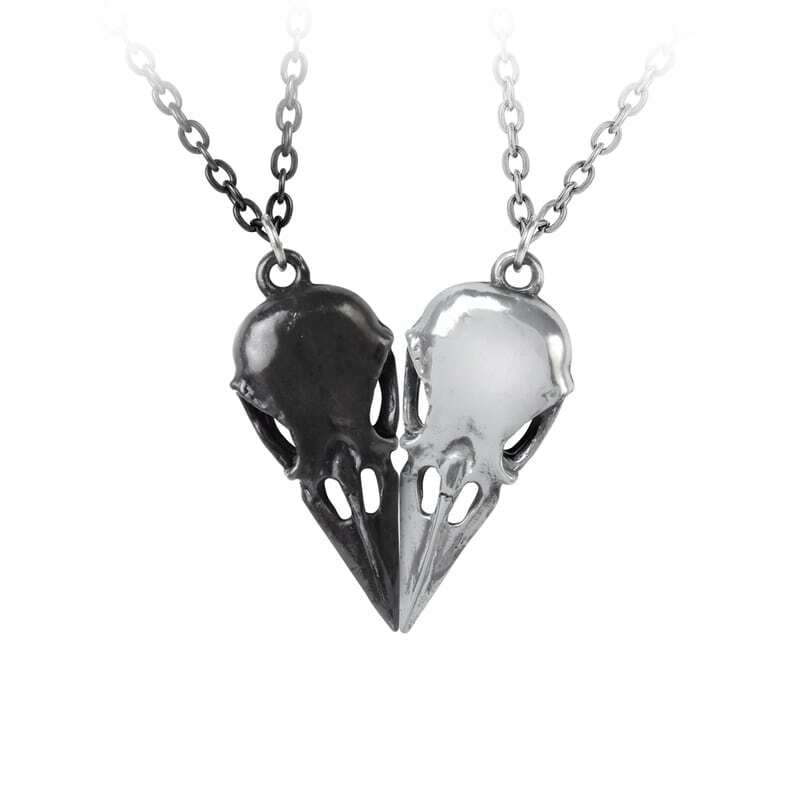 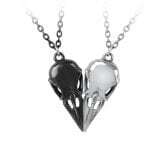 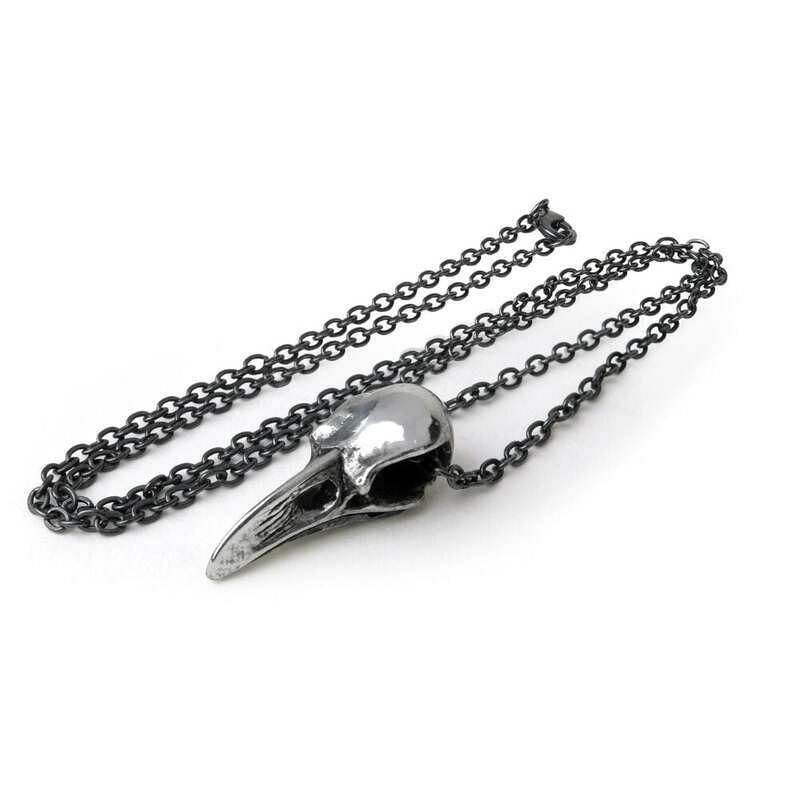 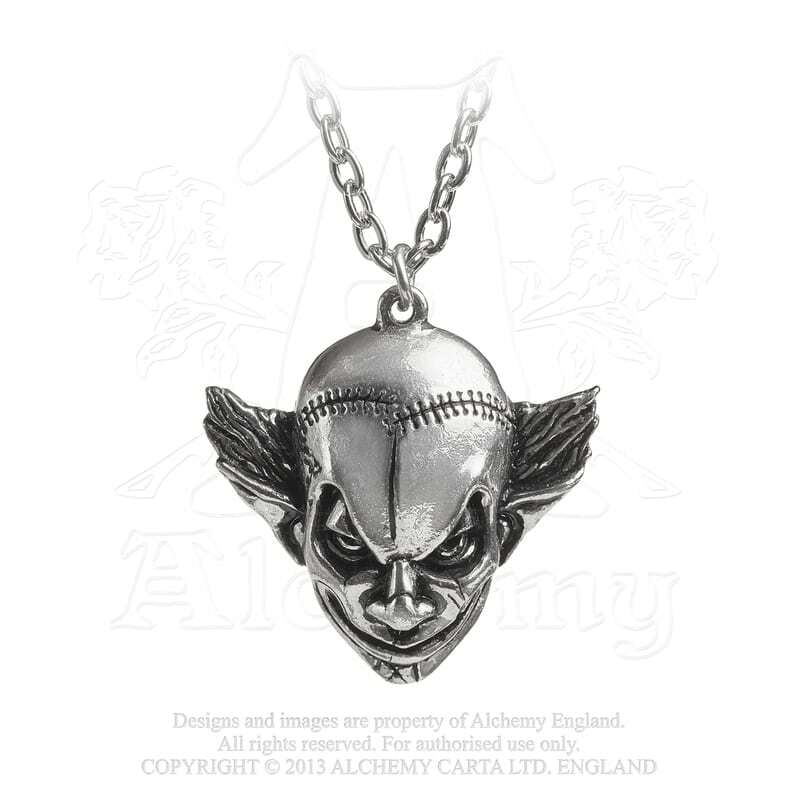 Two complimenting raven skull necklaces; when together they’re a discreet heart of bone – when apart, a covert token of a netherworld affair. 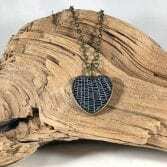 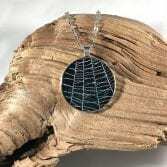 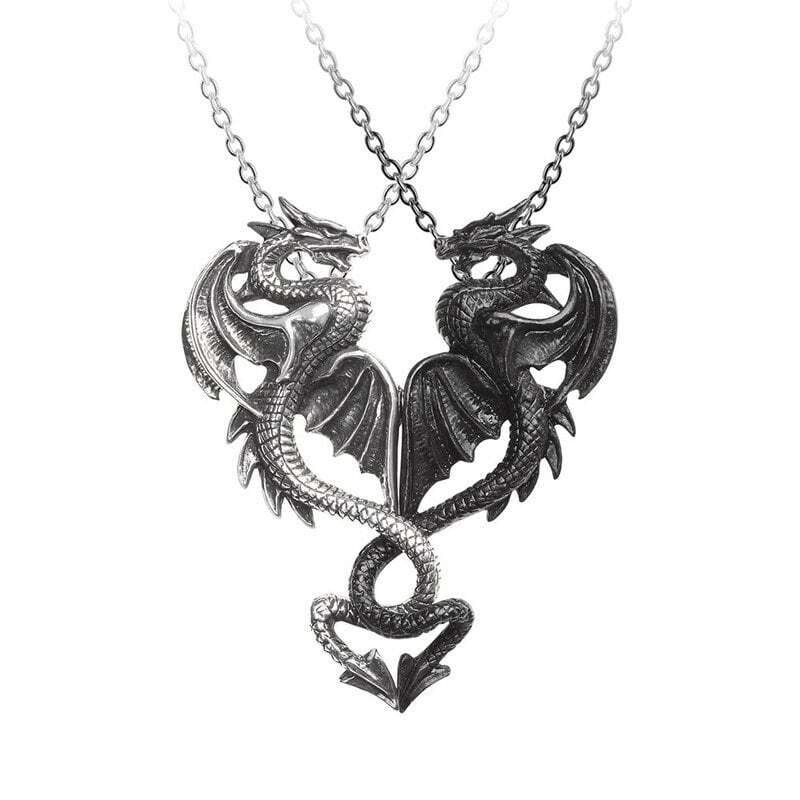 A double pendant necklace, to be worn as one with a double chain, or separated into two pendants. 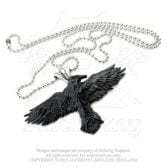 The mysterious chance visit of a raven is witness to a forlorn young lover’s desperate search for reason and hope, following the tragic loss of his beloved. 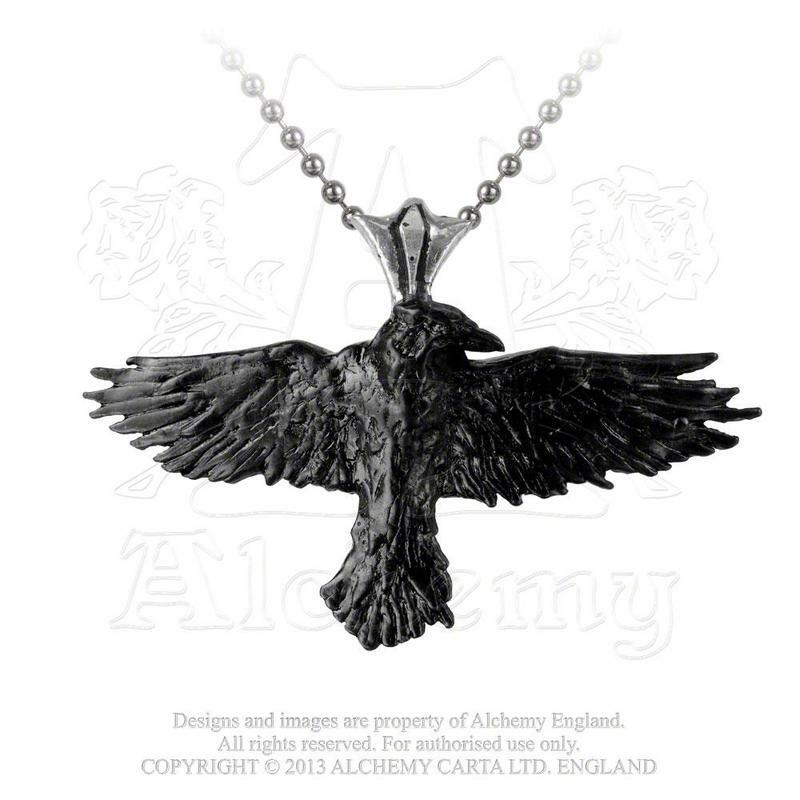 Alchemy’s rendition of Edgar Allan Poe’s 1845 masterpiece, The Raven. 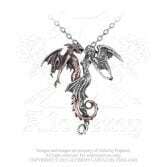 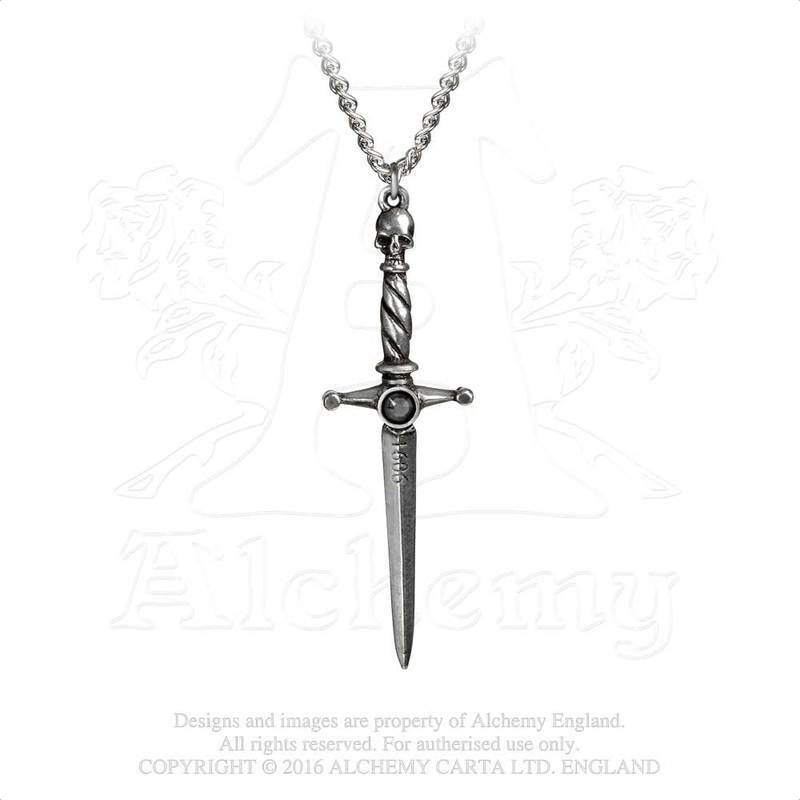 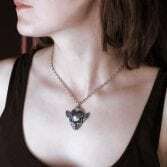 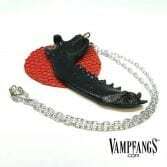 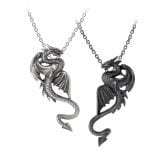 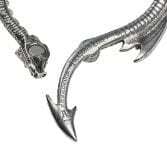 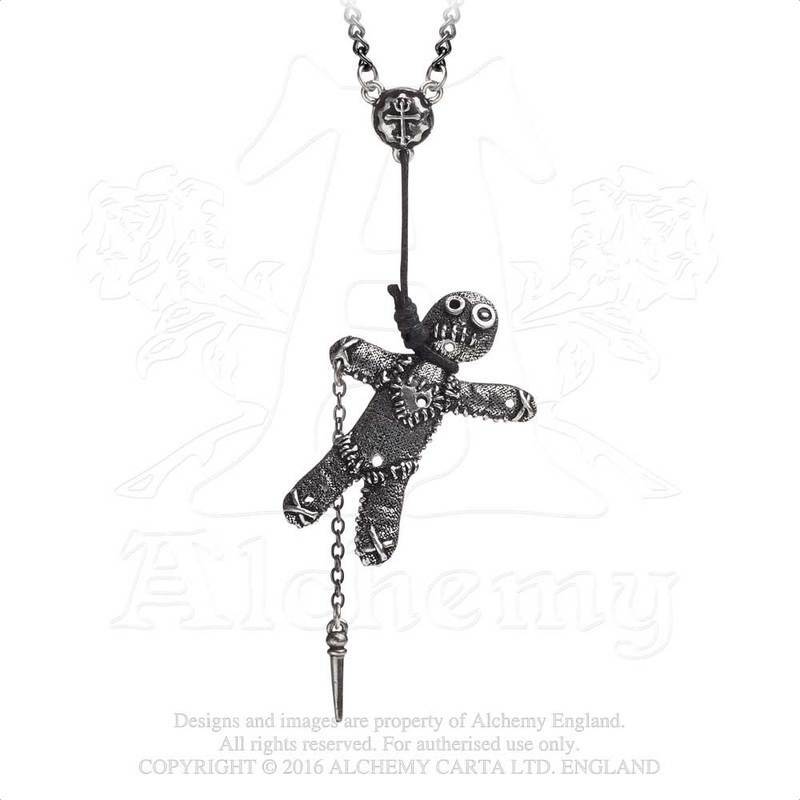 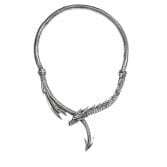 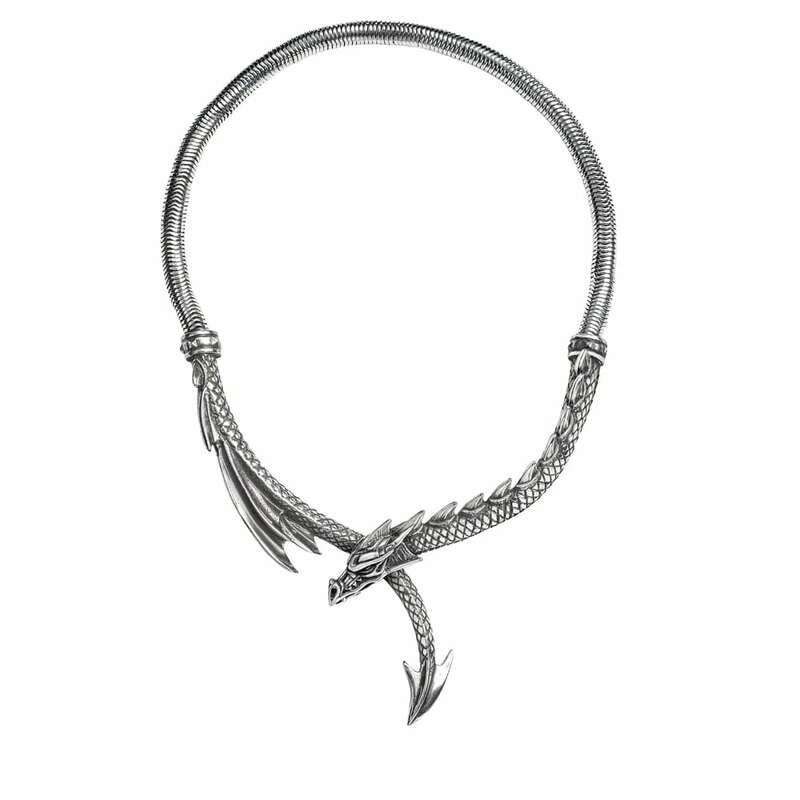 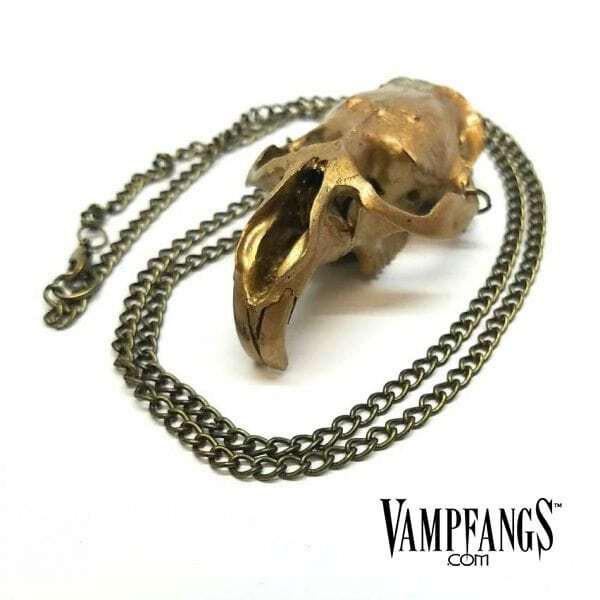 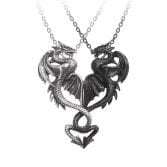 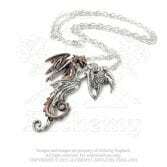 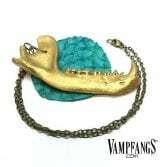 A large solid pewter, antiqued and polished necklace of a spined dragon wrapping around the neck, on a continuous snake chain with its head overlapping the tail and fastened by a magnetic catch under its head. 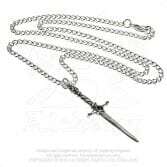 19 ½” (49cm) overall; non-adjustable. 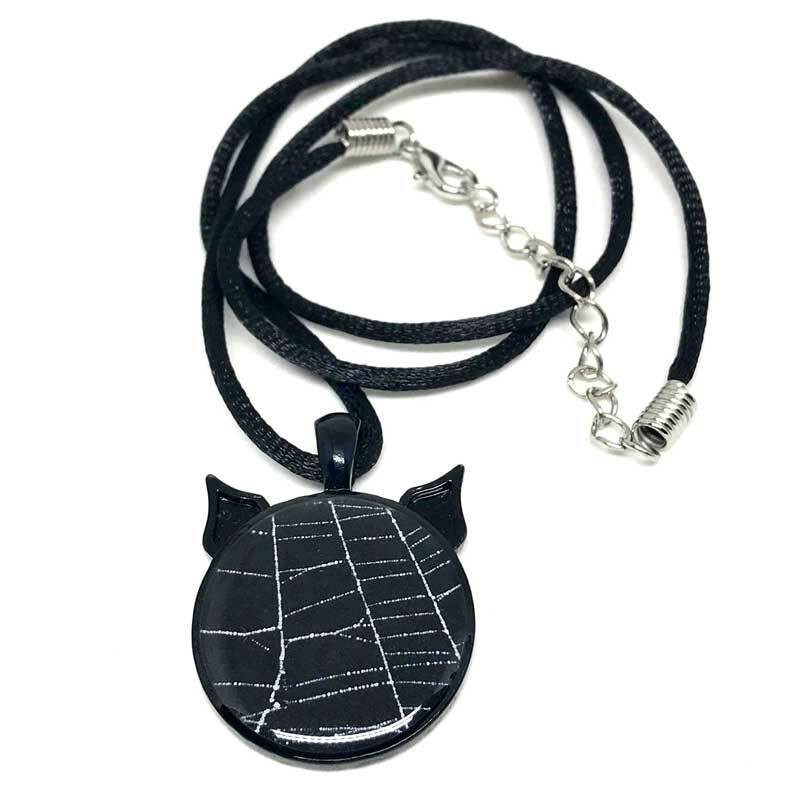 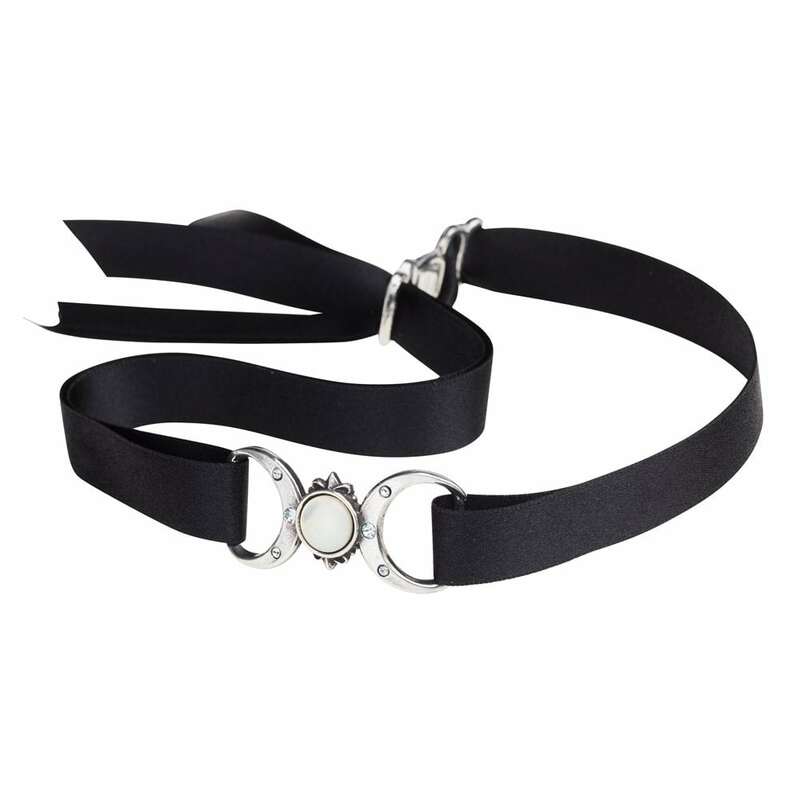 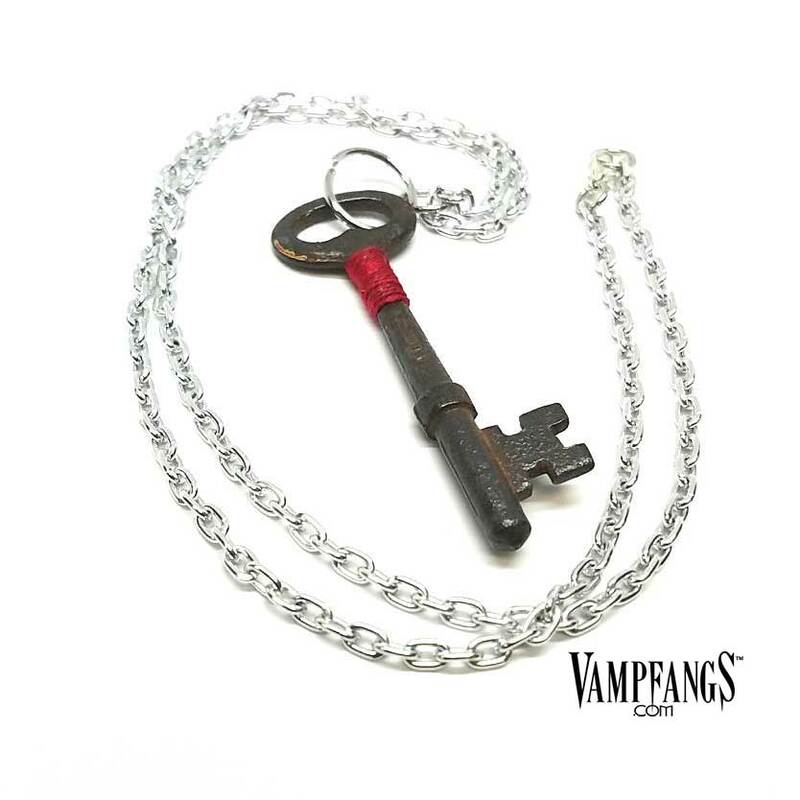 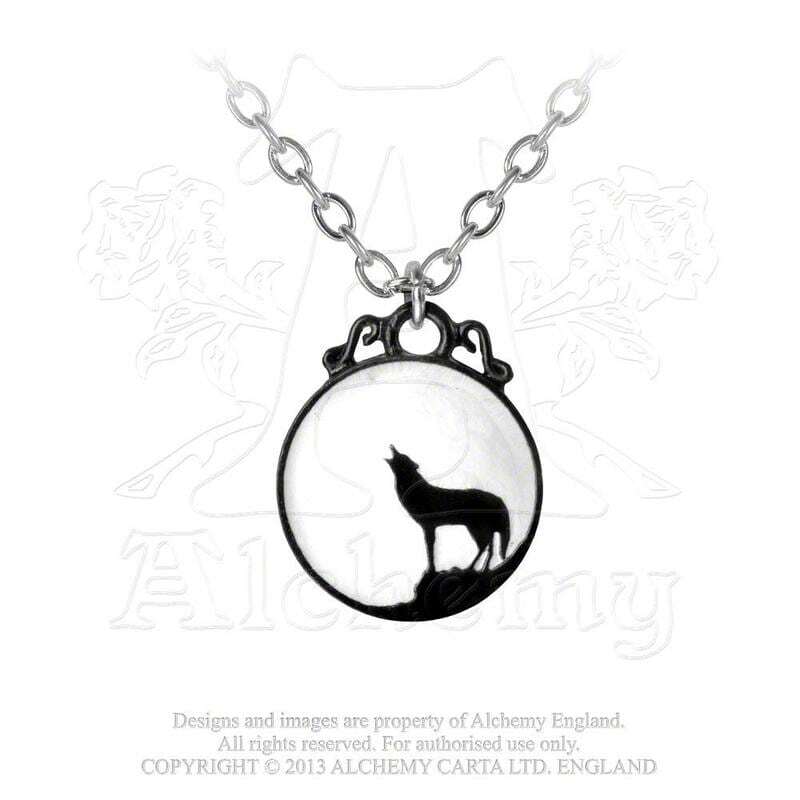 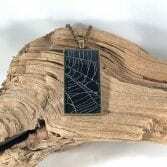 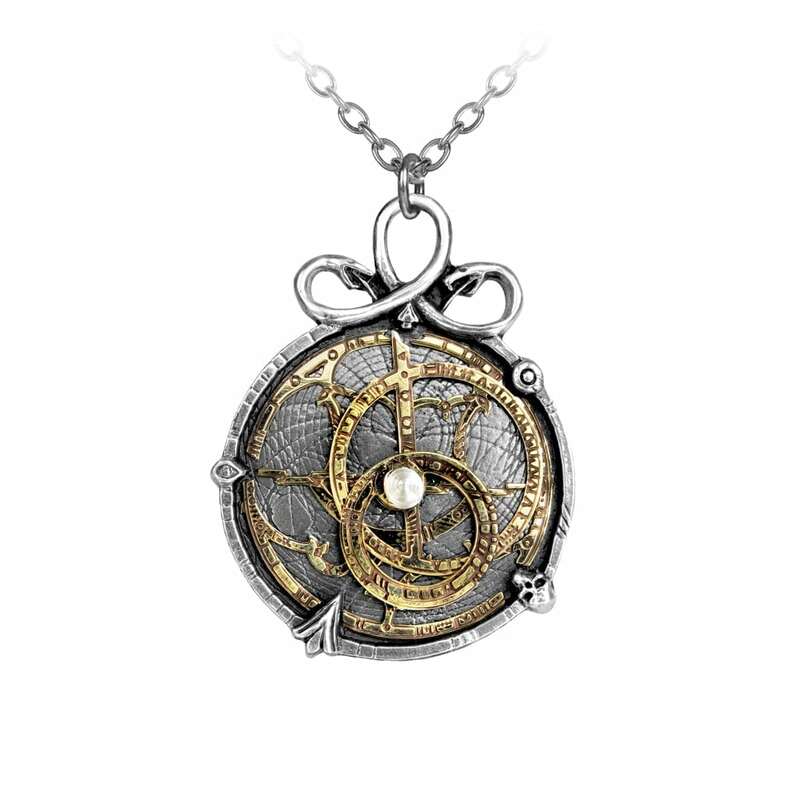 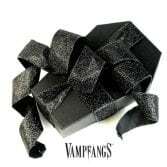 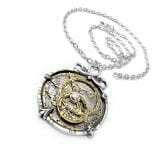 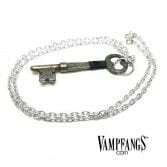 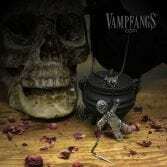 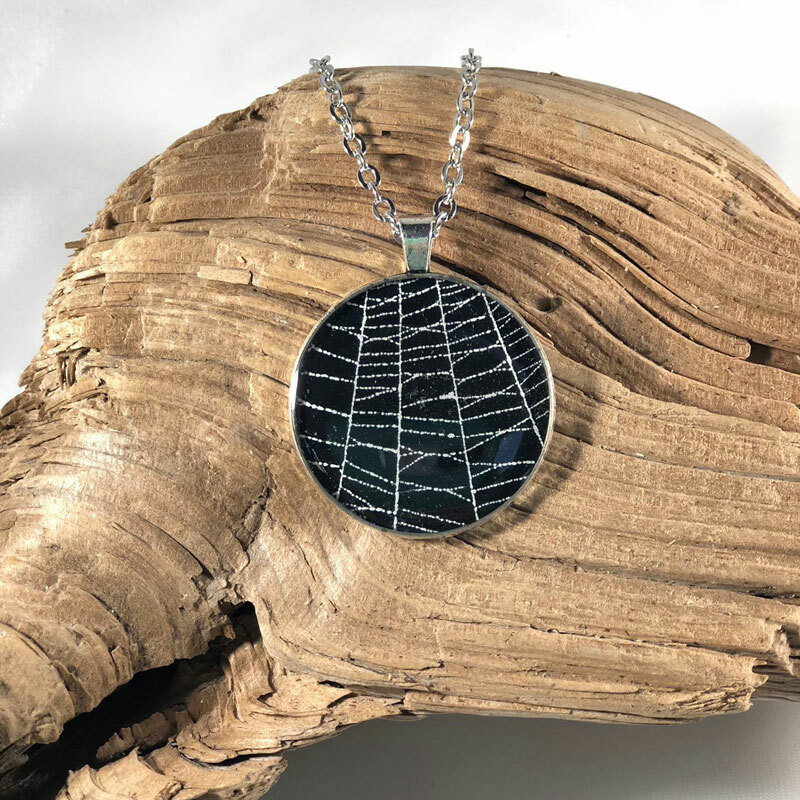 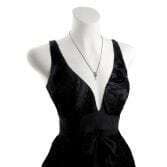 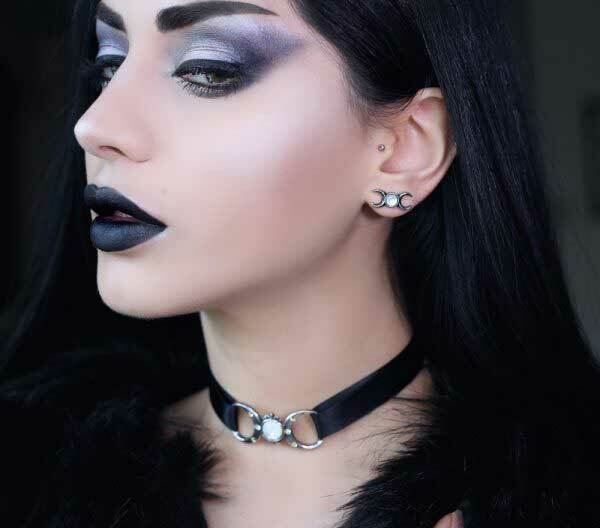 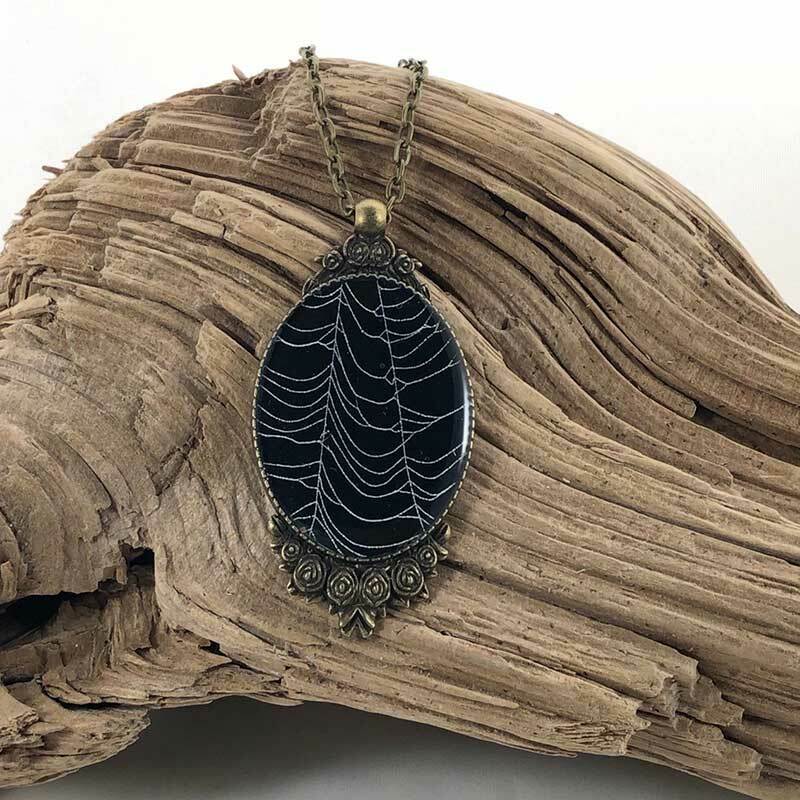 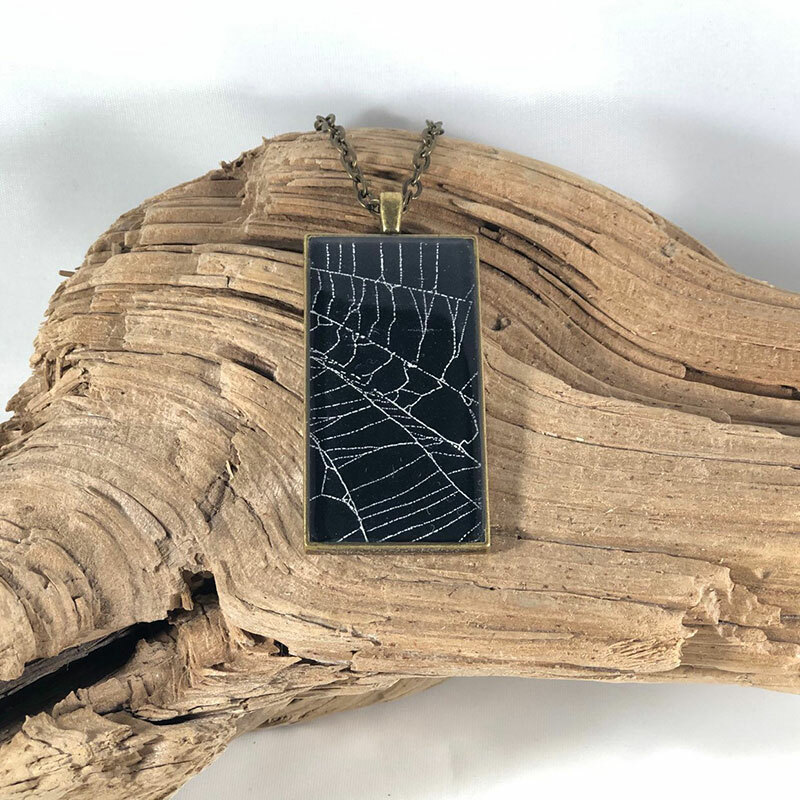 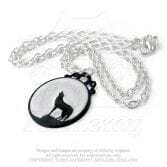 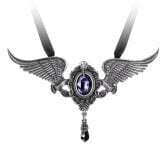 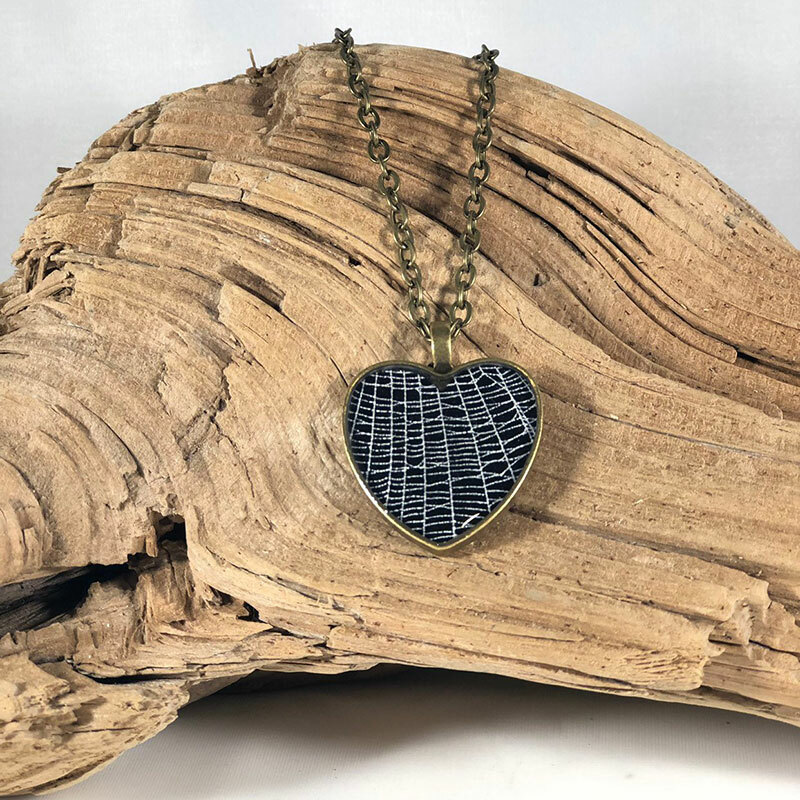 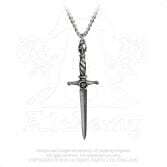 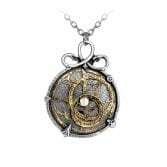 Necklaces, chokers, pendants, and other accessories.